Summer is the season of opportunity. A chance to get outdoors. A chance to eat Gelato and ice-cream. Music and Fairs. Food Festivals. Pomegranates and Promenades. On a more sentimental note, it's WEDDING SEASON!!! Is there a bigger milestone than your own wedding? Maybe. However, we can't seem to think of any. Weddings bond couples and families for a lifetime of happiness, bliss and surprises. It's no wonder planning a wedding is so taxing, both financially and emotionally. Having a summer wedding only adds to this heat. No matter which part of your wedding planning journey you're at, TWIST GALLERY is here to support you. We're rooting for your success in marking the beginning of your eternal bliss. Here are 5 tips to start you off. The most vibrant part of summer is the yellow sun. The sweetness and yellow hues of cold lemonade capture this essence. Starting your wedding reception off with lemonade is a great way to cool off your guests. Every time they drink a lemonade, it will always remind them of your wedding. Every time they drink a lemonade, it will always remind them of your wedding. Plus, it's much cheaper than champagne. Summer weddings are a big trend, especially in western countries. Summer is a very small window of opportunity for outdoor weddings. However, couples share this space with other event managers. The supply of venues is equally matched, if not surpassed for demand. Weddings have to compete alongside festivals, trade shows and shopping/media fairs for space. It is always a good idea to book your wedding well in advance. This will help ensure you get the setting you desire, minus the headache and last minute add-in costs. At TWIST GALLERY, our venue starts to book a year in advance for summer wedding receptions. The best time to book a summer wedding is when it's still cold outside. The most popular and vibrant summer colours are similar to summer produce. Bright hues of orange, yellow and white. Speaking of white, it really is all about you and the dress. To top off, you can include lavender flowers as centerpieces, green goblets and feminine, sky blue bridesmaid dresses. Summer Weddings are probably the place where throwing shade is acceptable. Make sure to cover your outdoor wedding with tents and cool shelter. Depending on how hot it is, you may want to consider putting up fans or offering extra ice cubes by the buckets. This will be especially necessary if your wedding vows run the length of River Nile. Which is actually a GOOD THING! Like winter, traditional wedding cake are white and layered. However, a summer wedding calls for a summer style cake. 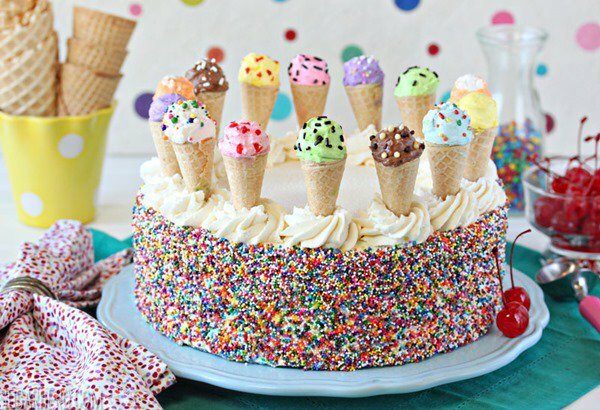 Ice Cream Cake are the Holy Grail of summer. You can choose from an assortment of custom-made ones for your wedding. Did someone say BASKIN-ROBBINS? The Ice cream will appeal to everyone's inner kid. You can get away with it too. It's still a cake!! These cakes go well in the spirit of a summer wedding: fresh, creamy and cold. Just the perfect complement to your warm and glowing love. May your wedding bloom like sunflowers.